The International Longshoremen’s Union staged a walkout Friday at the Port of New York and New Jersey, the most significant labor action at the facility in recent memory, shuttering all six terminals at the East Coast's busiest commercial seaport. The Port of New York and New Jersey said this morning that no additional trucks would be permitted to queue up on port roadways, and asked companies to stop sending further vehicles. The strike appeared to come suddenly; the port authority issued procedural notices only on Friday morning until 10:45 AM, when they warned of heavy congestion and a union walkout. Terminal operators and truckers reported that they had no prior warning. The walkout is said to be related to tensions between the ILA and the bi-state agency responsible for its regulation and oversight, an assertion confirmed by ILA spokesman Jim McNamara. McNamara said that the union was making a “unified action against the Waterfront Commission [of New York Harbor],” or WCNYH, which was created in the 1950s to fight corruption and organized crime on the waterfront. While legal actions against specific members are not necessarily reflective of the ILA as a whole, WCNYH has participated in recent investigations of union members for alleged prohibited or unlawful activity, including extortion, distribution of narcotics, and associating with members of the Genovese organized crime family. WCNYH is also said to have recently tightened the required commissioning and licensing procedures for longshoremen. 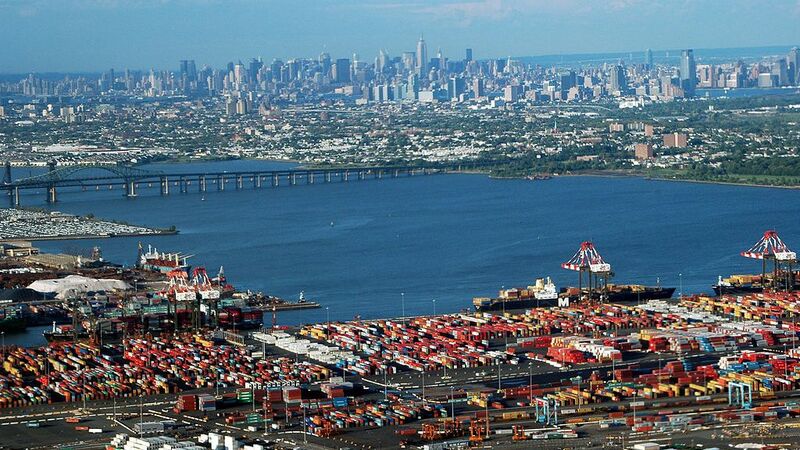 The New York Shipping Association (NYSA) told media in New York that the labor action was a violation of the ILA's contract, and that NYSA intended to file for a court injunction to force the resumption of port activities. “We don’t have a reason for why they’re doing this,” a NYSA representative said. Separately, strikes by the Greek Seamen's Union shuttered ports and ferry terminals across Greece for a third day on Friday. The strike, which began January 27, coincides with actions by truckers and farmers to block roads and border crossings. It was originally intended for two days but has been extended another 48 hours, through Sunday morning. According to a client advisory from Inchcape Shipping Services, the Towage and Salvage Crew Union of Piraeus will stage a four-hour stoppage Saturday morning, following a similar action Friday. Vessels will not be able to berth, shift or sail from affected ports during the strike; Thessaloniki will not be affected. The strike is the latest in a series of labor actions protesting state pension and benefit modifications and privatization of state assets, moves required by Greece's foreign creditors under a debt restructuring plan.